Sony has just announced a new flagship radio-triggered wireless flash for its full-frame E-Mount cameras: The Sony HVL-F60RM Wireless Radio Flash. 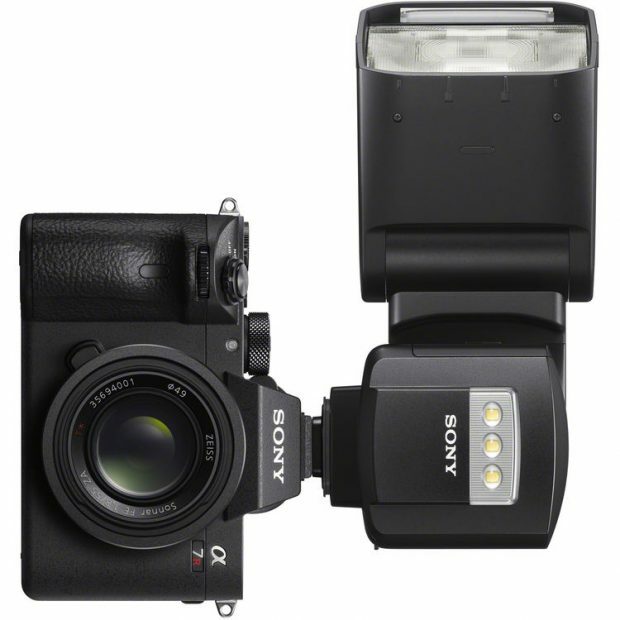 The US price for this flash is $599, will be available for pre-order on February 26th at B&H Photo Video. Guide number of 197′ at ISO 100 and 105mm with the ability to produce approximately 220 full-power flashes on a single set of batteries. The flash is equipped with a built-in LED light with an output of 1200 lux at 1.6′ / 0.5m. Additionally, it can also be used as an AF illuminator to support faster autofocus performance in low-light conditions. Flash head offers -8 to 150° of tilt along with a total of 180° of rotation for full bounce flash capabilities. Up to 220 full-power flashes are possible per set of batteries. Compared to its predecessor, the HVL-F60RM has twice the resistance to overheating due to updated materials and algorithms. Dust and moisture-resistant construction enables its use in harsh environments and a durable metal shoe has been added for improved mounting stability. Zoom head of 20-200mm as well as a pull-out diffusion panel which covers 14mm. Flash distribution settings of standard, center (guide number priority), and even (wide-angle priority) will adjust how the flash affects the scene or subject. Recycle time of 0.1-1.7 seconds. If used with the optional FA-EBA1 external battery pack, recycle times can be reduced to just 0.6 seconds. Profoto B10 OCF Flash Head Officially Announced ! Previous Previous post: Tokina FiRIN 20mm f/2 FE AF Lens Announced !